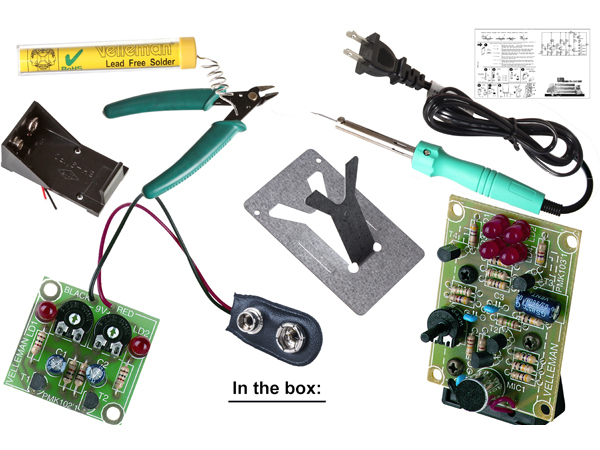 Description: EDU03U includes a soldering iron, tools, electronic parts and the necessary printed circuit boards to complete two mini-kits. An ideal introduction to soldering. Comes complete with a handy storage box.